“Having a designated study space goes a long way in creating good study habits. Creating a space that’s just for schoolwork helps the student get into ‘study mode’ and makes the transition from relaxation to work that much easier. Make the space appealing and positive…and appropriate to the size of the student! Desks and chairs for study should be to scale, and take into account the age of the user,” Carol states. As for scale, the person using the chair should be able to sit comfortably with both feet flat on the floor. For smaller children, a chair such as Molte ($14.99) has five different height adjustments and a fixed, non-rolling base. For older children, the rolling Snille desk chair ($19.99) is scaled for children, and easy to clean. 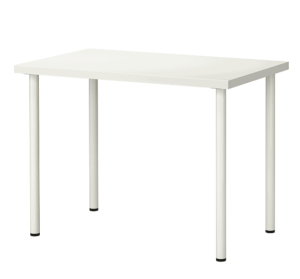 For the smallest students, the PÅHL desk is the perfect choice. 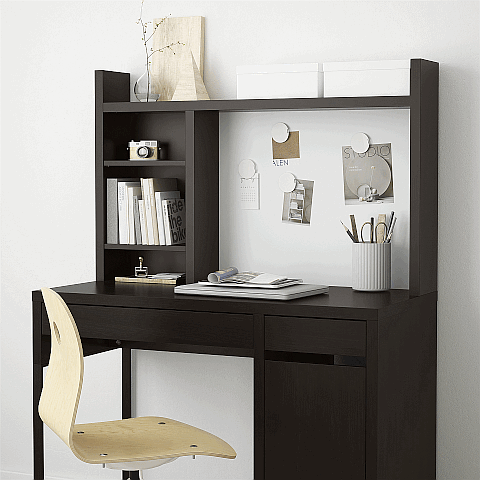 PÅHL desk is height-adjustable and can “grow” as the student does! The colors are fun, and the size is just right. For older students, the Linnmon table top series is a compact and simple solution and is easily customized with Adils leg series. Both table tops and legs come in different colors, so it’s easy to mix-and-match for color choices that’ll work with any décor. Carol advises that for older students, or anyone sitting longer to study or work, there are other considerations when it comes to choosing a chair. Lumbar support, and armrests help keep and maintain good posture…particularly when one is seated for longer periods of time. 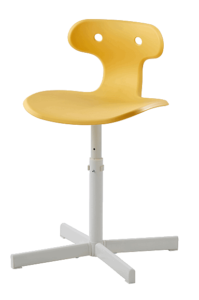 For an older student, a chair like Renberget ($49.99) is a good choice that offers the ergonomic features needed. Accessories play a big role as well. Magazine files can keep all of those papers and precious drawings neat and tidy, and the Tjena storage box series makes it easy to hide clutter. Add a recycling bin for paper and you’ve got a complete work area, ready to use! Carol points out that “It’s never too early to start good study habits…whether you’re sending your little one off to kindergarten or off to college!